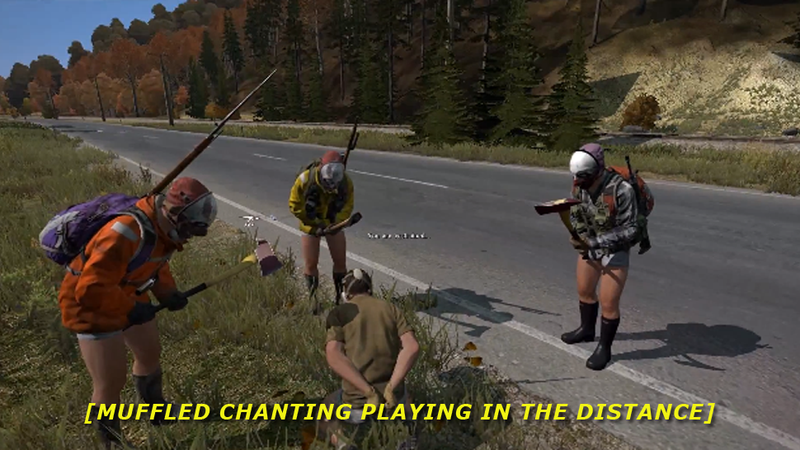 Three pantsless players in spooky masks, walking in the middle of the road towards you in the online survival game DayZ. What could possibly go wrong? We've already seen that interacting with others in the game is anything but normal, and it's just beyond insane when a whole group roleplay as cultists, as in the video below. And it's just as funny.